The way we communicate today is dramatically changing with the advent of new technologies. iPad and iPhones are great communication tools in that they allow you to communicate via emails, Messages, Facetime and occasionally even a phone call via VOIP applications that vary from Skype, Whatsapp and others. However, the price we pay for having all these various channels of communication is that it opens us up to even more spam messages as unwanted communication. In this article, we look at some of the basics around how to block unwanted messages and emails. Emails have been around forever and are one of the commonly used methods for communication. 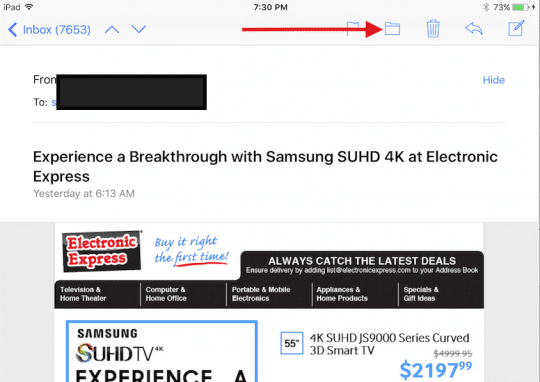 There’s no easy way to blocking specific email addresses on your iPad, but by marking spam emails as junk on the email rules, you can train your iPad to move these into the junk folder automatically. Google recently made changes in their Gmail application to help users with blocking specific email addresses. If you use Yahoo mail, there are also a few options that we will highlight in this article. Tap on the “More” option. You will see various options that show up on the right-hand side. We will use the last option marked “Move Message..” Tap on this, and you will see a new panel on the left showing all the various folders to which you can move this message to. Tap on the Junk folder, and the email moves to Junk. Moving the message to Junk Folder. 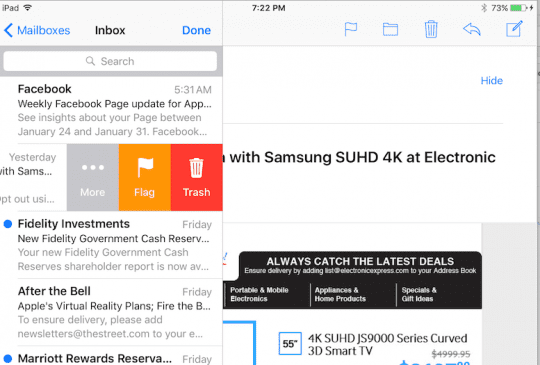 If you have already opened the email, you can very quickly move it to the Junk folder by clicking on the little “Folder” icon on top right hand and then choosing the “Junk” folder on the subsequent screen. 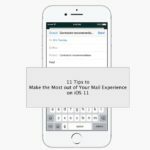 Luckily, Apple’s Mac Mail App makes it simple to set up rules! And we can quickly setup a rule to automatically put emails in the Trash or Spam folders. Rules don’t block an email from being sent, BUT it does prevent an email from being read! Unfortunately, this function is only available on Macs–not yet on iDevices. Since Gmail is one of the most popular email applications that is used by our users, let’s explore the new “Block” feature from Google that announced in Sept 2015. “Blocking” sends an email from a particular email address to the spam folder. The email continues to live on in the spam folder. Step->2. You will see a new window with the email address in the From field. At the bottom of this window, please click on “Create Filter with this Search” and choose the “Delete” option in the next screen as shown below. When an email arrives from this particular sender in the future, it will automatically get deleted and go to your “Trash” folder. If you have opened the email, click on the down arrow and you will see a list of options as shown in the image below. You can choose to Block the Sender by selecting the Block Option. 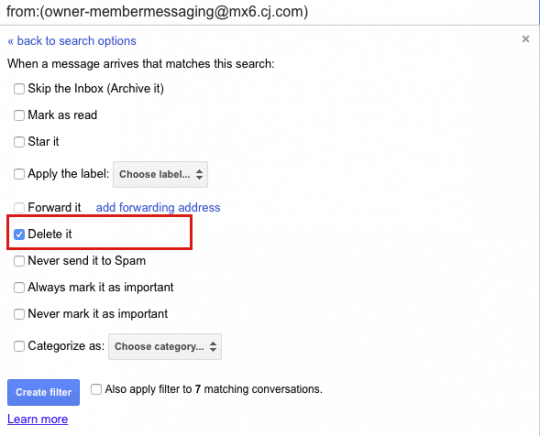 Step->4 You can periodically review your blocked and Automated Filter Settings for Gmail. You can do this by clicking on the gear icon on your Gmail at the top right side and then choose Settings > Filters and blocked Addresses. If you are using Yahoo Mail, please check this article. Yahoo allows up to 500 different senders to be blocked. 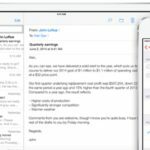 By configuring the blocking and filtering rules on your favorite email service provider, you can limit the number of unwanted emails coming into your inbox on your iPad and iPhone. By using the Move to Junk option on your iPad, your iPad will keep track of these senders and will move them into junk. With AOL, you can block a maximum of 1000 email addresses and domain names. Step ->1 If the message is open, tap the Details link in the top right corner of the message. Step->3 You will be asked to confirm on the next pop-up window. Once confirmed, you will no longer receive phone calls, messages or FaceTimes from this contact. Step->4 You can periodically review and edit the list of numbers you have blocked by going to Settings > Messages > Blocked. There is also another option in iOS that merits mention in this section. You can also filter out iMessages from people not listed in your contacts. Go to Settings > Messages and turn on Filter Unknown Senders. When you open Messages, you’ll see a new tab for Unknown Senders. When you turn on this option, you won’t get notifications for iMessages from Unknown Senders. Facebook blocking is very similar to the prior step. In the App, you will see each of the calls received is listed and has an “I” icon next to it. Tap the “I” next to the person you want to block and confirm your action on the subsequent pop-up window. You can review and edit your blocked list in your Settings by Settings > FaceTime >Blocked. Certain carriers also provide for additional features when it comes to spam control and blocking “Restricted” numbers et al. Please feel free to check with your carrier. We have provided the link to Verizon here as an example. Although the multitude of options that we have provided in the article may seem to be a little daunting for the newbie, we certainly think that it is worth exploring these options. A cluttered email inbox not only appears less appealing but it can also hinder your productivity. By choosing to use some of the Automated Filter options on your email, you can easily organize your emails and make the best of your time. It would be nice if Apple would configure their mail so we could: 1.) block spam. 2.) bounce the spam right back to the sender without confirming our email address to them. 3.) delete the spam automatically so, I do not have to spend time manually moving, deleting or doing anything at all with it. 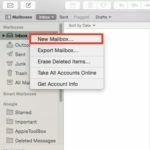 Although Apple mail has an option to delete the mail after the rules are used to categorize it, the delete NEVER happens and I have to delete them myself…. No, blocks work one way only. So if you send a blocked contact an email, they should receive the email (unless they blocked you!) However, if that blocked contact replies to your email, you will not know as they are on your blocked list. I have an iPad with Hotmail. Having trouble blocking some incoming. Have read up on it to no avail. HELP? I’m from New Zealand and also having an issue with email that I’m trying to block, I as well am using an iPad and can’t find any blocking instructions for email on my iPad. I’m using explorer and also Google. I’m also using Hotmail and I’m ok with that but the above email address [email protected] causes annoyance. I have checked with the nowmail provider in New Zealand and they are unable to help and told me to use Gmail or Outlook. However, to use them I would have to change all my contact people and I don’t want to do that. 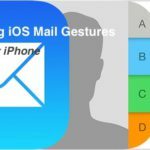 At this time, Apple does not provide a way to block email directly using their Mail App. They instead rely on the email providers to block email via their servers and services. 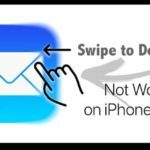 Since your email provider does not offer this service, you can instead mark those email address as junk/spam and leverage the Mail App to place those email addresses into a spam/junk folder instead of your Inbox. 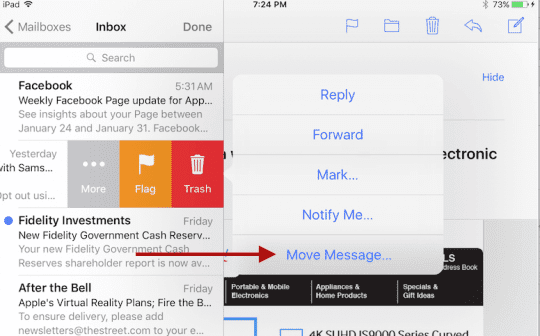 What we hope to do is train the Mail App to recognize these addresses and the email from them as spam or junk–and isolate them in those junk/spam folders instead of your Inbox. 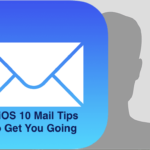 Periodically, you will need to delete all that junk email but it won’t clutter your inbox. Given that your email provider does not offer the blocking options of Gmail or Outlook, setting up these addresses as junk is your best option–for now. Its insanely stupid for us iPad and iPhone users, who use the Apple email we were given when we bought the device, are unable to block or auto-purge senders without a lot of rigamarole & wasted time, plus wasting device space.. I cant “go into my provider settings”—-Apple is the provider! I have to waste space building a contact just to block them in Messages? (Apparently that is how one blocks unwanted senders in Apply Mail on a non-MAC, just from our iPhone or iPad). I guess I got to stop buying Apple…. Maybe I am not understanding this correctly but since the Equifax breach and thank God they only have my AOL address I believe I am getting 15-20 or more emails a day from totally spam Senders And it is taking up far too much space in my emails and of my time I cannot block each one individually because I don’t know where they’re coming from and that would also be very time-consuming since they’re coming from everywhere is there not another solution? Shirley there is no block sender from drop list on iPad or iPhone. I don’t have a computer just iPad and iPhone. I want to block someone in gmail so how do I do this? Unfortunately, Apple and iOS does not currently allow us to directly block email addresses on our iDevices. You can try blocking a contact–some folks report this works while others report it does not. But let’s give it a try! We’re not sure why this is going on but the best way to avoid this situation is to save your friend and all his information (phone number, email, and so forth) into the Contacts App. That way it’s a recognized contact. If you get an iMessage from a phone that is not on your contact list, your iPhone may offer the option on the message to report the number as spam. It’s possible that message was hit at some point. That rule for your Mac does not work, I do that and they keep coming. I have tried a multitude of procedures to try to get a block on those unsolicited annoying disgusting emails that end up in my email without success. I was able to block with android but not I phone and that makes me second guess my choice to change to I phone products. I just want to selectively block emails. 2. 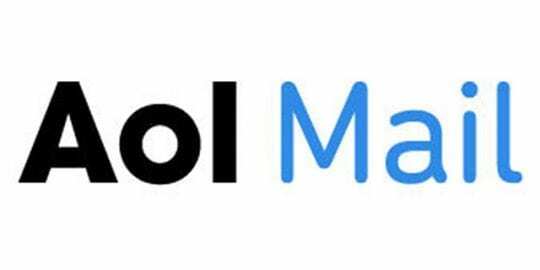 Go to AOL Keyword: Mail Controls. 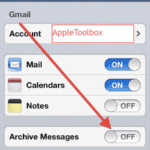 For versions 10.1 and higher, click on the “Mail” icon followed by “Settings” and then “Spam Controls.” Click “Edit Spam Controls” to launch AOL Desktop 10.1’s mail controls. 2. In Sender Filter, click the Block mail from addresses I specify option. 3. 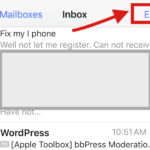 In the text box, type the email address that you want to block. 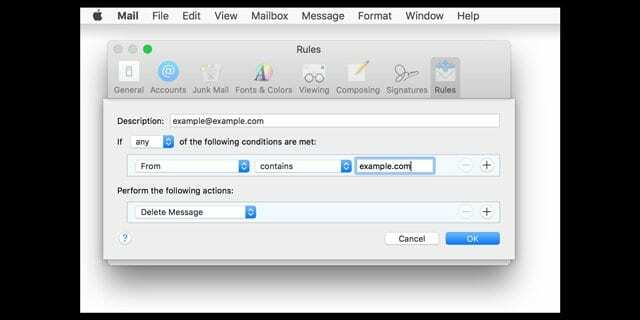 Add multiple email addresses by separating each email address with a comma. my I-Mac and do not get through. It’s driving me crazy, I have tried all ways that have been published has anyone got the answer.!!!!!! I agree with Liz above…Outlook is awesome…however, I cannot block in my Apple iPhone 6. I have added spam email contacts to my address book and selected block this caller, but I think this only blocks texts and calls, not emails. When you refer to a dropdown when you open a message, where is that? I only have a flag, trash, archive, send, options. Like Greg Jones, I am sick of having to take the time to empty my junk every day. I own an iPhone 6s. I need to prevent a certain person from being able to email me in any form. These mails cannot go into my junk folder or any other folder. All I need to do is simply be able to block the sender from sending the mail in the first place. I’m finding out that Apple products are a waste of money and basically junk. Unfortunately, there is no way to block someone from sending you an email but you can block the email from arriving. For Gmail, first, open a message from the unwanted sender. Then, select “Block [Sender’s Name]” from the message dropdown menu. Confirm your choice. For Outlook, right-click a message from the sender you want to block, and then click Junk > Block Sender. And most other email providers offer this block function as well.